Beautiful weather today. The temperatures were in the lower 70’s. The winds were from the North-East at 10-15 mph. Another good day of fishing. In Buxton and here in Frisco there was sea-mullet, blow toads, bluefish and some puppy drum at the point. At the point there was another good shark bite. No inshore or offshore report today. Not the greatest fishing weather today. There was scattered rain showers and heavy winds throughout the day. Winds were from the south west at 15-20 mph. Temperatures were around 70. Good fishing off the beach even with the bad weather. Puppy drum all over the beach today. In Buxton there was sea-mullet, bluefish, and sharks. In Frisco there was puppy drum. Eliot Cicel and Jeff Fouler were in town from Winston-Salem today and fished through the bad weather. They were lucky enough to find a great drum bite with plenty of keepers. The SM (Star Mag) star drag fishing reel is designed for long distance casters. Featuring a free floating spool, counter balanced handle, mechanical spool tensioner, adjustable magnetic cast control knob and enormous 6:1 gear ratio this reel gives you complete control over the speed of the spool and allows you to make long, accurate casts, while still providing incredible stopping power. Today was partly sunny with warming temperatures by the afternoon. The winds were from the north-east at 10 mph and the temperatures were 55 warming to 65 this afternoon. 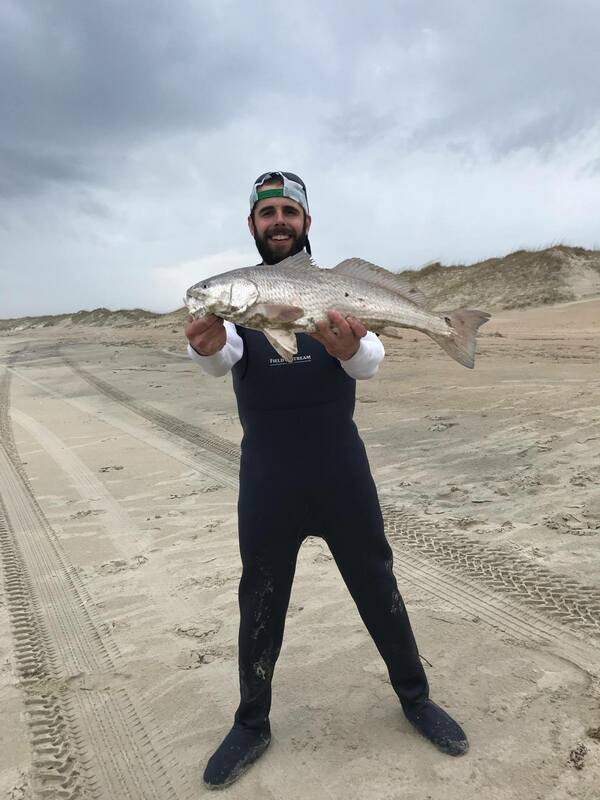 Today the fishing was better along the Frisco and Hatteras beaches with blow toads, sea mullet, black drum and puppy drum being reported. There is no inshore or offshore report today. Today was mostly sunny. The winds were from the north-east at 5-10 mph and the temperatures were in the mid 50’s. Out at Cape Point in Buxton some blowtoads and bluefish were caught. Even with the wind and a few clouds, today was still good for fishing. Winds from the South-West at 10-20mph and temps hanging around the mid 70’s. Avon today had the largest variety today. From the beach the Sea-Mullet and Blues with some flounder and Craokers biting from the pier. In Buxton the big Red Drum were still hanging out around the point. Some Sea-Mullet and Blues were everywhere else. Frisco and Hatteras had a very slow day today. No inshore report for the day. The gaffer Dolphin were still here even with the wind. Some stray Wahoo were found. along with a few Blackfin Tuna. The Black Bart RPP is the “HOT ONE” with its angle nose, stubby body, heavy weighted rigger lure. Small but mighty, this incredible lure lets you have your cake and eat it too. All tackle, all species, any position, small and big fish, hook up ratio as good as it gets. Rig with 9/0 or 10/0 hook. Available in 3 different skirt colors. 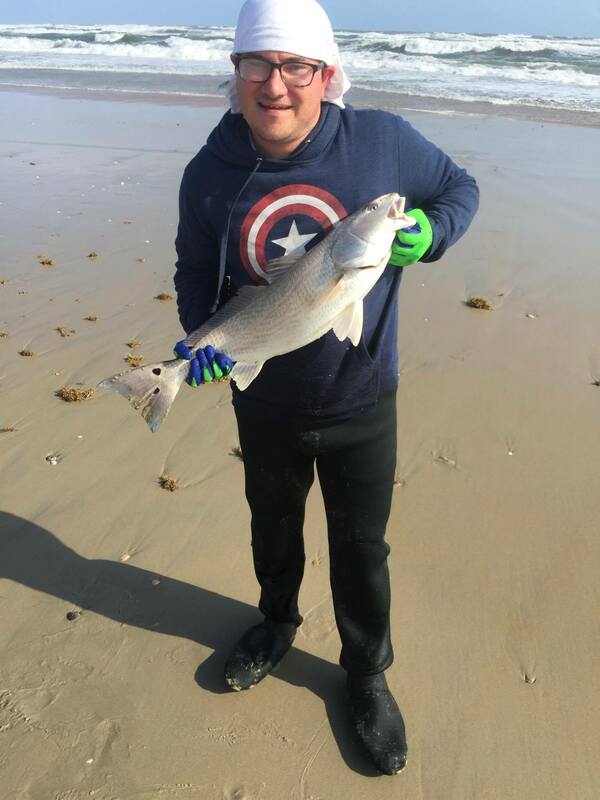 In Avon today a few Sea-Mullet, Flounder and Bluefish were caught. In Buxton today the Sea-Mullet and citation Pompano were biting. Also at the point today the large Red Drum were biting. On the Frisco beaches today the Puppy Drum and Sea-Mullet were being caught. No report from Hatteras. Inshore today was busy. From Bluefish in the inlet to Clams on the shoals. Cobia were spotted and caught and also some nice Puppy Drum. Offshore today was possibly one of the best days this year. The gaffer Dolphin were thick today. A few Blackfin and Yellowfin Tuna were also caught. From the bottom the bottom today Grouper were biting. As for Marlins a White and a Blue were released. Down-East Clam Rakes are a 5′ clam scratch rakes. Available with 4, 6 or 10 round teeth and a 60″ varnished wood handle. Also available with or without basket.